Some people call it Bubble Football, some Bubble Soccer, few Zorb Football or Zorb Soccer. But all in all call it a great fun! This is our most wanted activity for different occasions. If it is Stag party, they have Bubble Football. If it is Hen Party, they have Bubble Football. If it is Birthday party, they have Bubble Football. We are even present on Family and Corporate Events too. Gosh, they all want to have Bubble Football! We are proud to share the statistics that 91% of our Visitors admit that their experience couldn’t be better. 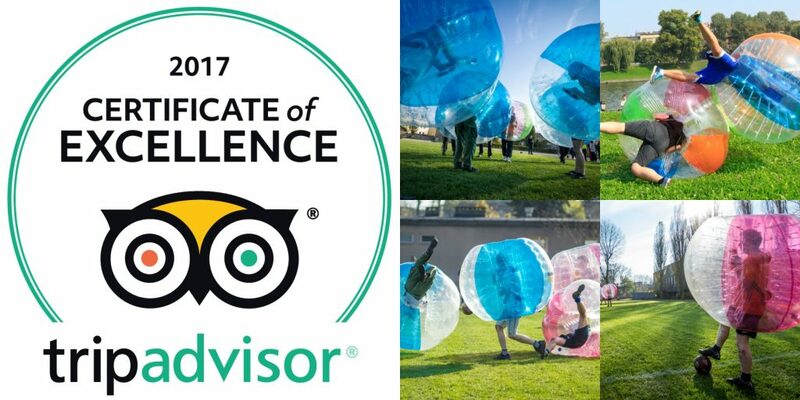 Our Team is here to help you organize best possible party experience with our Bubble Games. Check our latest offer and ask for your personalised quote. We are listed in “Inspirock Trip Planner” so you can book Bubble Football from out there too. Take a minute to find out what Bubble Games you will play during your party. Don’t forget to tell us which one you prefer most!